Everyone knows that credit scores exist, but ‘what is a credit score?’ is a question we often hear. A credit score and a FICO score are the same thing. It is a number that can range from 300-850. A credit score represents how likely a person is to repay their debt. An example of debt is credit card debt, or an auto loan. The higher the credit score, the more likely a person is to repay the debt. 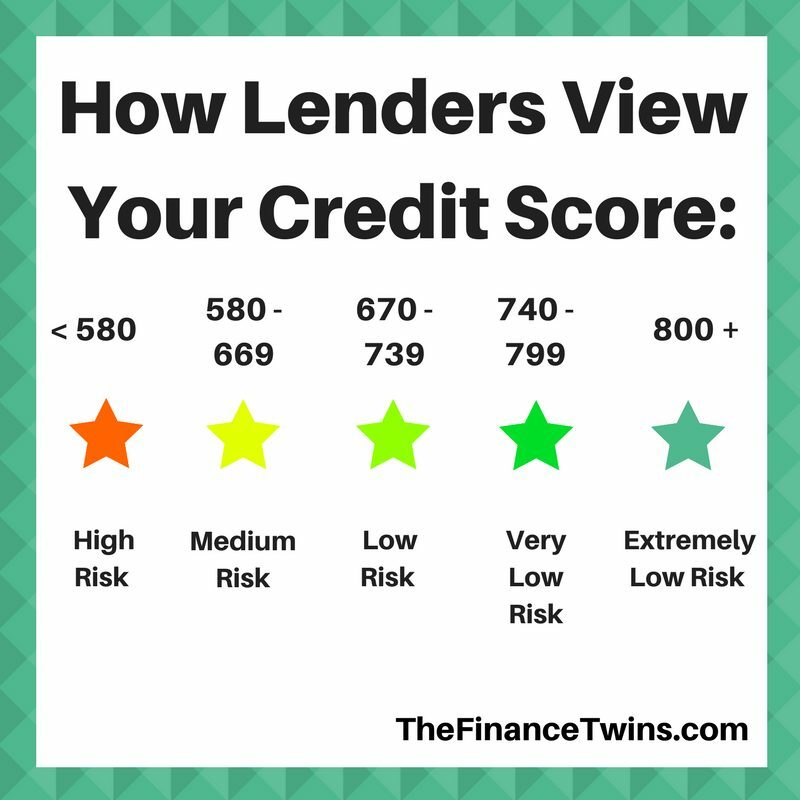 Before we jump into how scores are calculated, do credit scores even matter? Yes, but their impact will depend on your specific situation. Read our post here to see how your credit score may impact you. Do not make late payments. This one is simple. Pay the minimum (or more) on each credit account (loan, mortgage, lease, etc.) by the due date each month. Many people struggle with this. It is easy to forget to pay your account by the due date. Technology has fortunately helped with this as nowadays you can set a digital reminder. The large credit bureaus use multiple criteria to determine your credit score. One of those that relates directly to credit cards is the percentage of your credit limit used. For example, if you have a total of $2,000 available across all of your accounts and have spent $150, that would be 7.5%. Your goal should always be to keep it as close to 0% as possible. Having a budget is key. Sometimes it is necessary to make multiple payments during the month. By paying the credit card off regularly you will ensure your balance is always low (or zero). If you follow our philosophy on credit cards, you should only be using credit cards to spend money you have in your bank account and never spend money that it not accounted for in your budget. Racking up credit card debt can destroy dreams of financial freedom! The total average “age” of your accounts is factored into your credit score. They average the total amount of time that your accounts have been open. This includes private loans, student loans, and credit cards. The “older” your accounts are the higher your score will be. It is possible to have a credit card account open and not use it regularly. This can increase your “credit age”. To prevent the account from being closed use it to pay a small recurring monthly bill. Some companies require regular use for the account to remain open. Simply leave the card at home to prevent the temptation to use it. If keeping it out of your wallet is not enough, you can destroy the card by cutting it up into pieces. Credit bureaus track every time you apply for a new line of credit (loan, credit card, etc). They do this to measure how you are doing financially. Opening many accounts within a small window of time lowers your credit score. The more debt you have, the lower your credit score. By having many loans, you demonstrate to the banks that you need to borrow money to cover your expenses. This is a liability. If you are able to minimize your debt, you show that you can live within your means. Diverse loan accounts are preferred by the credit bureaus, just like a diverse investment portfolio in your IRA and 401(k) can be rewarded in an volatile market. This can include car loans, mortgages, student loans, and credit cards. Those with different types of accounts have higher credit scores. This may seem counterintuitive, but we don’t make the rules. Three things will hurt your credit score the most: filing for bankruptcy, being sent to collections, or foreclosing your home. If any of these have happened to you, work on all the other things above if you are looking to raise your credit score. It is possible to be in debt up to your eyeballs and have a credit score over 800. You can have a credit score under 600 and be debt free! 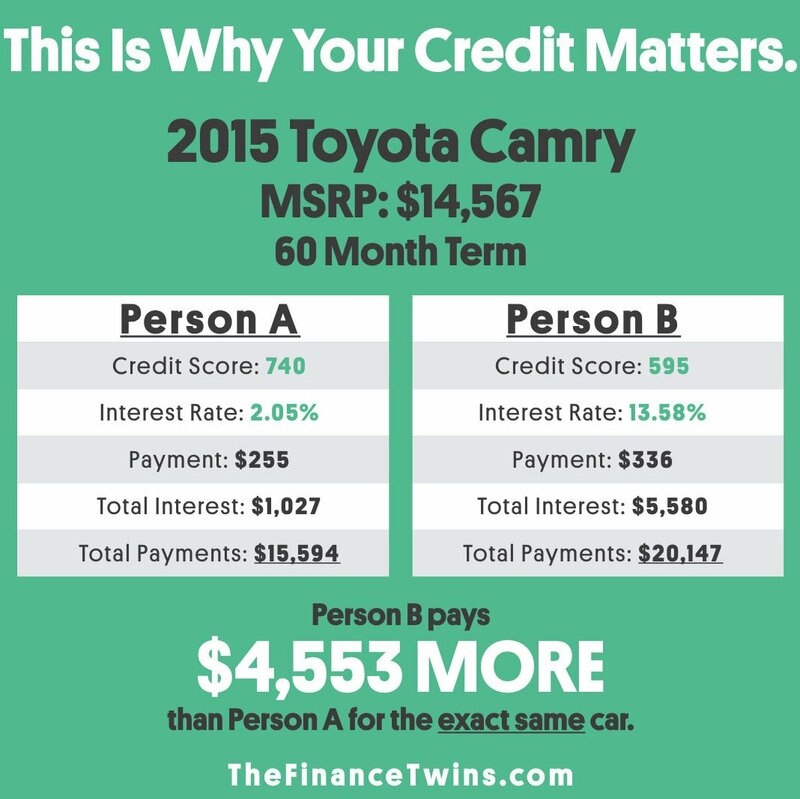 We would much rather have the low credit score and NO debt, would you? Don’t obsess over your credit score. Just stick to your budget, make solid financial decisions and for most people a solid credit score will follow. Does my credit score impact the interest on my student loans? When I looked, it seemed like the loans impacted the score, rather than the other way around. Will be interesting to see what the finance twins say. Hi Amanda and Jorge! Thanks for the question! For most people, their credit score should not impact their ability to get student loans IF they get federal student loans (subsidized OR unsubsidized). However, if you want or need private student loans, those lenders will probably take your credit history into account. The same thing will apply (their credit history will be evaluated) if your parents are taking out loans to help you pay for school. I’ll also mention that taking out student loans will impact your credit score (it will impact several of the factors discussed in the post above).